You are here: Home > Visual Proof: Why is attaining Relevance in Advertising so Hard? 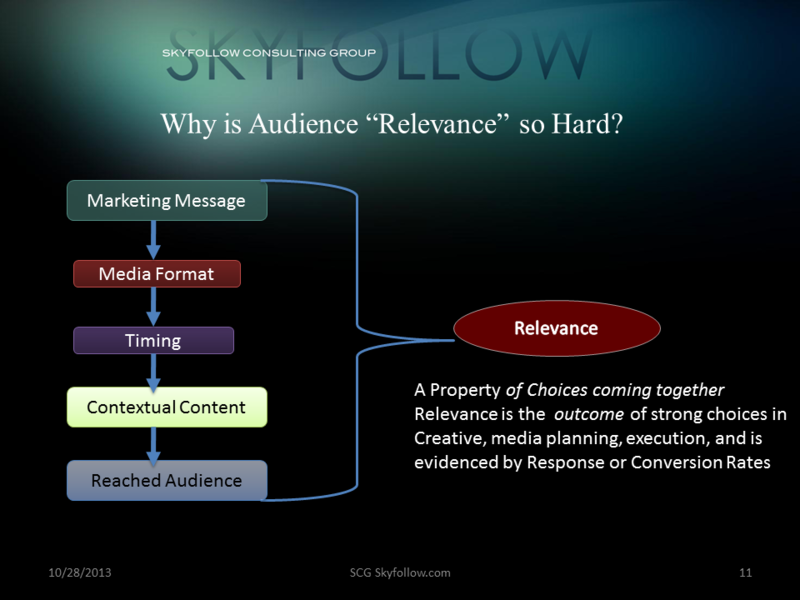 Many people and companies, assume that relevance is a property of the audience (or audience member), or conversely a property of the advertising (image, copy, placement). Well, it’s neither. It’s a property of the relationship between audience, message, product, and the time and placement of the advertising itself. It’s a meta-property. This is best viewed in a diagram like this one below.